You don't mess with a classic. That's why New Coke failed, and there's no Casablanca II: A Beautiful-er Friendship. That's also why you want these Danner Men's 17327 Brown 8-Inch Quarry USA-Made Waterproof EH Wedge Boots. They're an improvement on Danner's most pop ... (see full details) (see specifications) #DNN17327. You don't mess with a classic. That's why New Coke failed, and there's no Casablanca II: A Beautiful-er Friendship. That's also why you want these Danner Men's 17327 Brown 8-Inch Quarry USA-Made Waterproof EH Wedge Boots. They're an improvement on Danner's most popular footwear, but with the same classic fit and feel as their predecessor. What's been updated on these boots? The collar lining has been enhanced, so it's instantly comfortable for your feet. The placement of the triple-stitching has been re-engineered to reduce wear and tear over time. Danner has upgraded to single-piece midsoles for increased longevity as well. Here are two things you'll notice right away on this men's footwear: they're 100% waterproof, and they come with a breathable GORE-TEX lining. Water can get out, but it can't come in - that means you'll have dry feet whether you're working in a drizzle or a downpour. GORE-TEX works just like your skin. Its wafer-thin membrane is made up of billions of tiny pores that allow the extremely small molecules of water vapor (perspiration) to escape, but the pores are too small for liquid water to penetrate. Pretty cool, right? In addition these premium shoes are manufactured with full-grain, all-leather uppers - it's a classic design that offers you with superior protection. The rugged hardware gives you a secure fit and long-lasting performance. And, thanks to Danner's handcrafted stitchdown construction, you'll have a wider platform for increased stability underfoot. This type of construction also means these brown boots can be redrafted. You can also replace or recondition the soles of this men's footwear, so you can wear them for months, years, or maybe even decades to come. You know what else will be underfoot? The non-marking, oil- and slip-resistant rubber outsoles. They won't track debris, so you can keep your job site cleaner. And, since these American-made shoes perform best in indoor environments, that's a nice feature. The slip-resistance will help keep you upright, and the oil-resistance increases durability. You'll have cushioning, lightweight support, and guaranteed traction across various terrains. A few final things: these work boots come with fiberglass shanks for added fatigue-busting arch support. They also meet the electrical hazard standard of ASTM F2892-11. This will guard around open circuits in dry conditions. And, maybe best of all, they're made right in Portland, Oregon. You can't beat American-made products. Strap a pair of these classic Danner Men's 17327 Brown EH 8-Inch Quarry Waterproof Wedge USA-Made Boots. So order your pair online from the Working Person's Store today. I've worn Danner boots for over 20 years and they keep getting better. They are comfortable right from the box with virtually zero break in required. They are tough American boots built to last and worth the price. These boots are extremely comfortable. The only negative is that the toes wear out on them quickly. I have learned to put a toe protector coating on them before I wear them for the first time and then they last much longer. The other great thing about them is that if the soles wear out, you can take them to a shoe repair shop and they can be re-soled. 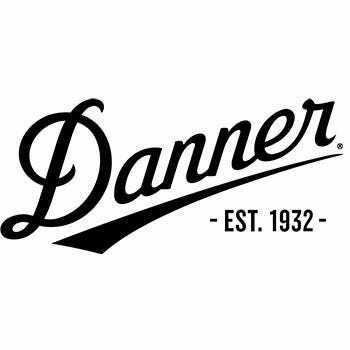 Danner Boots: Men's 17327 USA-Made Waterproof Brown EH 8-Inch Quarry Boots is being added to your cart.